Seeking friend to share great times. Objective: Permanent, loving relationship. 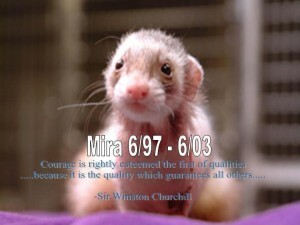 The Ferret Association of Connecticut, Inc. (FACT) is one of the oldest non-profit humane and educational ferret organizations in the United States. At FACT, the long-term welfare of ferrets comes first. Founded in 1991, the Ferret Association earned the respect of peers for our innovative programs and financial transparency. Our mission and goals have always been clear and steadfast. As we advance into the future, we are expanding shelter outreach and ferret advocacy programs. The goal is simple – to reach out and help more ferrets. 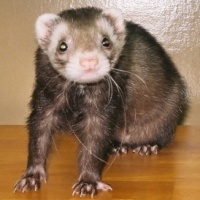 This site serves as a partial repository of the Ferret Association’s extensive library of information about the care, behavior, and health needs of the domestic pet ferret. In addition, it offers visitors insights into our shelter and national programs. Thanks to the generosity of QuestionPro and its powerful Survey Software platform, we are able to collect responses and distribute vital information to our participants.